So much happening in May in Jerusalem! In this short synopsis, Peter & Christine Darg sum up historic, political, spiritual and Biblical happenings for your prayers! 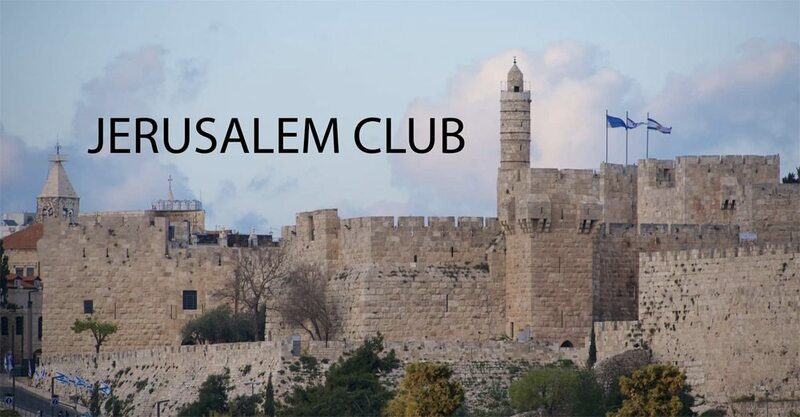 Sign up to be a part of Jerusalem Club at this link. Praying for the Peace of Jersulem. WONDERFUL! If there was ever a time to pray it’s NOW! Love the ‘new’ Jerusalem Club! Thanks for keeping us up to date in these prophetic times! I’m praying for you & your ministry & for the Peace of Jerusalem! Praying for you, Christine and Peter. Good heath, strength, wisdom and God’s protection as you continue the Ministry God has given you. Praising God … so thankful for you!!! And praying for the Peace of Jerusalem. This is so encouraging! Thank you for sharing these prophetic milestones. I am surely praying and being watchman on the wall. Shalom! Embrace the God of the most exciting time to be alive! Praying with you for Israel during this momentous time! The Israeli Government are currently committing murder against Palestinian innocents. Sit in your American Tower of false zealousness. The Israeli Government has turned from YAHWEH, ELOHIM, G-D HIMSELF and are looking for war with Persia. The End may be nigh but don’t try to excuse their Government behavior. It is appalling. God is a merciful God, full of love for His creation. Each human life matters to Him. I am a Christian, not of Jewish bloodlines. My Salvation is solely because of Jesus Christ and what He did for me. Jesus Christ was an human Jew born into the family and of a family of direct descendants of King David. I know my Biblical and non-Biblical histories. It’s my thing. Oh yeah, the name for “God” in Arabic translated to English is “Allah”. Arab Christians call God, Allah.